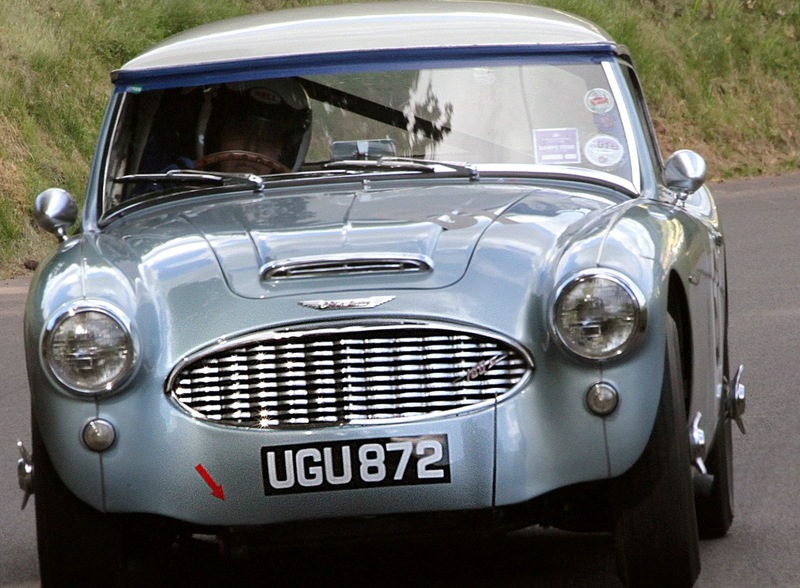 The car was subjected to a full restoration in 2002/2003, which included an aluminium bonnet and boot lid. A BJ8 engine was acquired and built by Jeremy Welch to fast road specification for the owner who was a friend of his. It was equipped with a DWR8 `fast road` cam, twin 2 inch SU HD8`s, flywheel lightened to 21lbs, alloy sump, oil cooler and a few other bits and pieces. It was later acquired by their mutual friend, Neil Hardy of Hardy Engineering. 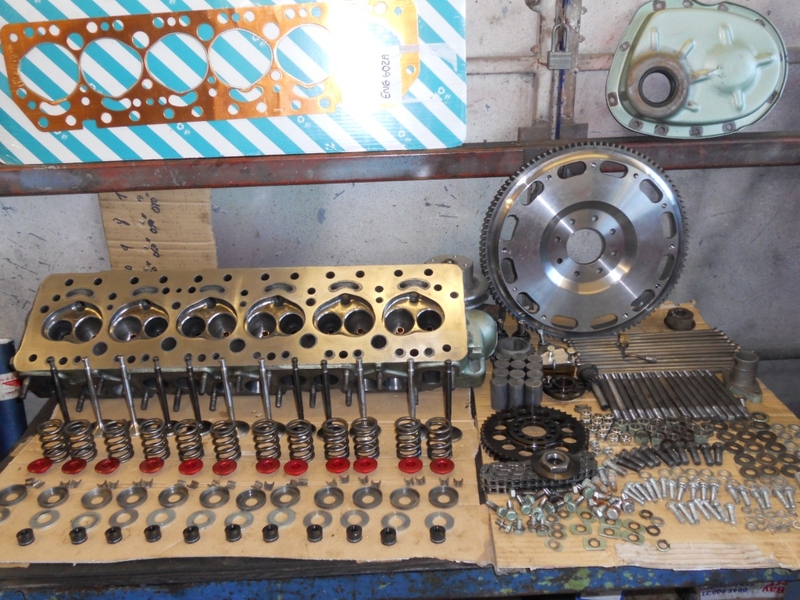 Neil installed a centre shift box, Tulip ratio straight cut gears, competition overdrive and a Quiafe limited slip differential. I installed a roll bar and racing seat and competed in the car for the second half of the 2012 Healeysport Speed Championship then over the winter decided to upgrade the car for more power. The engine was totally stripped down and a new 300 degree DWR2 rally cam was installed together with a lightened DWR steel flywheel and triple Weber 45 DCOE carburettors. Stronger steel rocker pedestals and spacers replaced the old pedastals and springs. The head was again polished and ported and also shaved to bring compression up to 11:1. 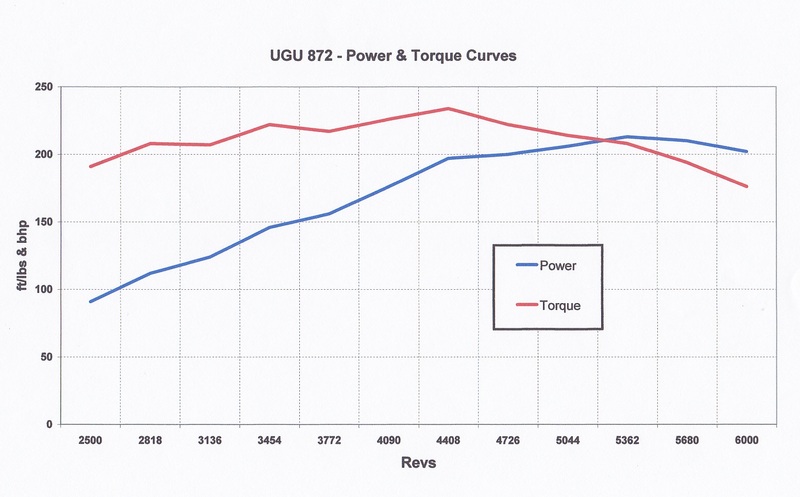 The result was a power increase from 160 bhp to 213 bhp at the flywheel. Maximum torque is now 232 ft/lb. The ignition is set at 31 degrees maximum advance. Originally Pacific Green over Florida Green!!! The engine bay as it now is. The upswept inlet manifolds are from Dennis Welch and are a similar shape to the Works Rally cars but they don`t need support towers. The DWR2 cam is virtually identical to the Works rally cams used in 1964, which was their final iteration. The exhaust manifolds haven`t been changed and are those designed for SU carb set ups. A switch to manifolds designed for Webers would release a bit more power. All the heater equipment has been removed and the passenger side support strut was cut away and replaced to accomodate the Webers. Stripped, cleaned, polished. ported and skimmed. Red-lined at 5000 to get by the noise scrutineers!! Overdrive on gear stick and aluminium pedals.